An arrest for drunk driving can mean a heavy fine, loss of driving privileges and a jail sentence. If you have been arrested for DUI/DWI, you need an attorney who will work to obtain the very best outcome possible for you. At The Law Office of Dawn R. Underhill, we represent clients facing drunk driving and related traffic charges. 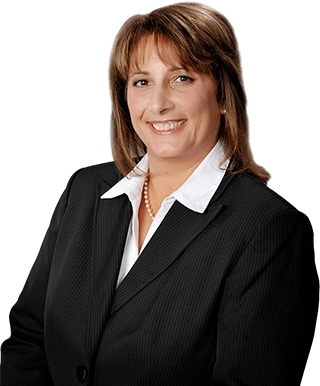 The principal of our firm, Dawn R. Underhill, worked as Assistant State’s Attorney for Will County for eight years. As a former prosecutor, she understands how a prosecutor builds a case and how to identify the weaknesses in that case. When you come to our offices to talk about your case, we will carefully analyze the stop, the field test, the administration of the breath test at the station and any other relevant facts surrounding the event. We will give you our considered opinion about the possibility of overcoming the charge and how to proceed. In every case, our goal is to obtain the best result possible, while working to protect your rights and freedom. In most DUI arrests, the police and prosecutor have done their jobs properly, and the State has a strong case. In these situations, a lawyer’s job is to minimize the effects of the event on your life, so you can put the incident behind you and move forward. We have handled hundreds of DUI cases over the years, and we understand the steps needed to successfully deal with the charge, including the retention of your driver’s license. In some arrests however, the State’s case has fatal flaws. The arresting police officer may have had no probable cause to stop the driver, or the Breathalyzer test may have provided erroneous results. Not every person arrested for DUI is guilty of the charge. In these cases, we will work to overcome the charge, preserve your freedom and keep your record clean. Whatever the facts of your case, we will work to protect your rights, minimize the effect on your life and your lifestyle, and obtain the best outcome possible. For a free consultation in Joliet, Illinois, with a DUI defense attorney at The Law Office of Dawn R. Underhill, call toll free 877-Law-Dawn (877-529-3296).